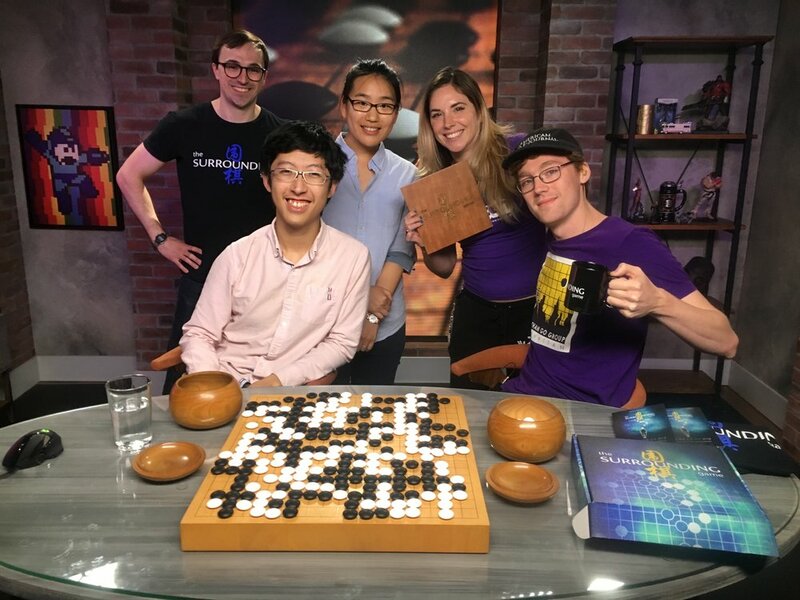 On Saturday we teamed up with streaming giant Twitch.tv to host an all-day livestream all about the game of Go. We peaked at over 17,000 viewers! Directors Will Lockhart and Cole Pruitt kicked off the broadcast with a segment to teach the rules of Go. Next viewers enjoyed a special showing of The Surrounding Game and post-show Q&A, as the chat-room was abuzz with comments. We had so much fun following the chat as the movie was playing - the comments were hilarious and wonderful. The broadcast concluded with live commentary on back-to-back high-level tournament games. Stephen Hu 6d joined Hajin Lee to cast the semi-finals of the 2018 Creator’s Invitational Tournament between Justin Teng 6d (USA) and Peter Marko (Hungary), as well as the Collegiate Go League Championship. How to play Go and Chat vs pro / game commentary.